Age-Fighting Moisturizer, 3 fl. oz. Day Solution Sunscreen Broad Spectrum SPF 35*, 1 fl. oz. Night Solution, 1 fl. oz. Order of Application ♥ Your Skin TimeWise® Skin Care eCatalog TimeWise® Miracle Set® Video Why Do I Need a Skin Care Regimen? See the Proven Results! With 11 age-defying benefits in one system, the TimeWise® Miracle Set® is clinically shown to reduce the appearance of fine lines, target skin resilience and help skin tone look more even. Combines age-fighting benefits plus three essential skin care benefits in one product to cleanse, exfoliate and refresh – revealing younger-looking skin. Formulated with an exclusive dream humectant blend plus powerful antioxidants that help guard against free radicals to help skin look and feel smooth and radiant when used in conjunction with the TimeWise® 3-In-1 Cleanser. Hydrates for up to 10 hours while helping control excess oil. Together, TimeWise® Day Solution Sunscreen SPF 35** and TimeWise® Night Solution deliver the exclusive Pronewal® System around the clock with crucial protection during the day and boosted renewal at night. A unique delivery system of Nutribeads® microcapsules contain highly effective antioxidants essential for skin's renewal process. All TimeWise® Miracle Set® products are dermatologist-tested, suitable for sensitive skin, clinically tested for skin irritancy and allergy, oil- and fragrance-free, hypoallergenic and non-comedogenic (will not clog pores). Use the TimeWise® Miracle Set® products as a daily regimen – in the morning and in the evening. The TimeWise® Miracle Set® products are designed to work together to help maximize the age-fighting benefits. The patented† blend of age-defying ingredients in the TimeWise® Complex reduces the appearance of fine lines and wrinkles by accelerating the skin’s renewal process. Gentle cleansing beads remove dead skin cells through exfoliation. A patented† complex reduces the appearance of fine lines and wrinkles by accelerating the skin’s natural renewal process. A patented† complex reduces the appearance of fine lines and wrinkles by accelerating the skin’s natural renewal process. A powerful antioxidant helps guard against free radical damage. A moisture-binding blend of ingredients keeps skin moist. Nourishing botanicals help energize skin while UVA/UVB sunscreens help protect the skin from sun damage. Contains vitamin-rich Nutribeads® microcapsules that deliver antioxidants essential for skin renewal. Also contains age-fighting peptides to help reduce the appearance of expression lines and visibly firm and smooth skin. Each TimeWise® product is specifically formulated to combat a wide variety of signs associated with the skin’s aging. They are designed to work together to help maximize their age-fighting benefits. 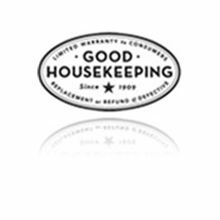 The TimeWise® Miracle Set® has earned the Good Housekeeping Seal, after evaluation or review by the experts at the Good Housekeeping Research Institute. The TimeWise® Miracle Set® is not a cure for rosacea and does not treat it but it is a skin care regimen that’s highly compatible for those who have this super sensitive skin.